Yesterday afternoon, I received a package from Bento & Co. I bought 3 items from the gift certificate that I won from the Spring Bento Contest 2010. I can use these 3 items for my husband and my kids. Thanks a lot Thomas for the quick shipping. I really enjoy the gift. 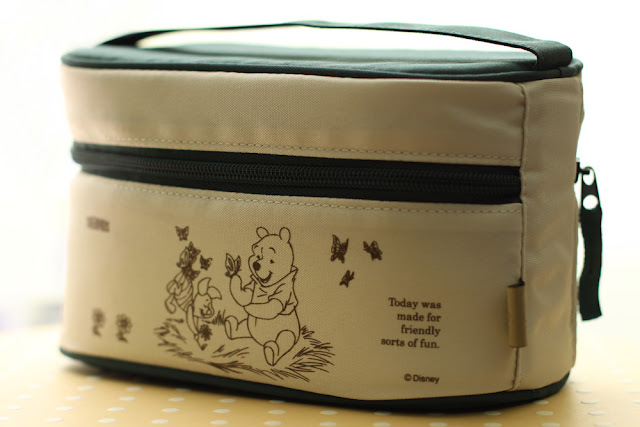 I should tell the truth that I have never prepared bento for my husband. This will be my first time. I would like to thank him for being so supportive and being the one who encouraged me to start blogging :) I used the Fukuro two-tier bento box that I think quite big for the kids but would be great for my husband. This bento ended up as his breakfast because he had a lunch meeting. Inside the box : (bottom-tier) furikake + purple cabbages sprinkled on the top of the rice and flower shaped purple potatoes. I found other kind of purple potatoes. The center was white and purple on the outer circle ring. (upper-tier) mashed sweet potatoes, scallop & celery stir fry with garlic and lemongrass, cherry tomatoes, baby corn wrapped in black smoked ham, kamaboko, and daikon & carrot flowers. So lovely, even your husband bento! You got beautiful sets -- can't wait to see you fill them with your spectacular style! 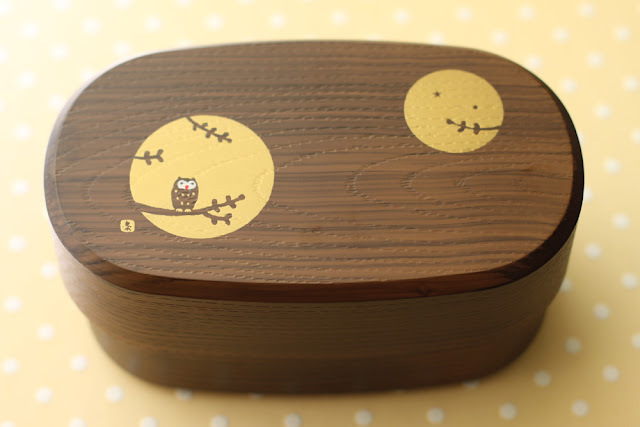 Nice additions to your bento gear and you packed this beautiful wooden bento into a work of art! Congrats on the win (belated) Lia! 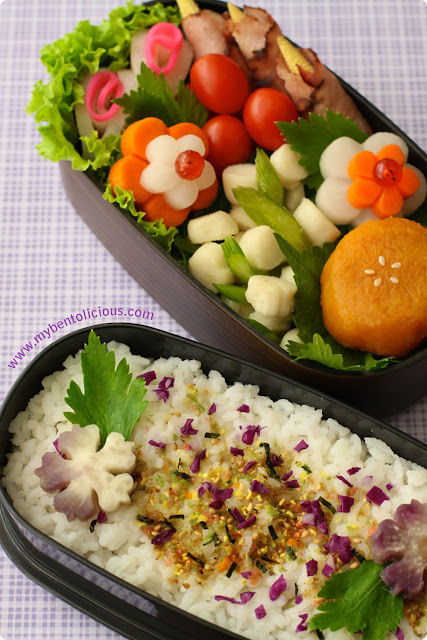 So lovely bento for your husband! @hapabento : hahaha ... Debra, no way! I'm learning from yours bento for SM. Actually the material of the box is plastic. It have this wood grain texture. So for me, this is easy to maintain compare to the wooden one. I don't have any wooden box BTW hehehe :) Thanks a lot Debra! @Susan Yuen : Thanks a lot Susan! We just love our hubby, don't we? Nice bento boxes you have. So pretty, I love to collect boxes too but don't know will use it for bento. @Anncoo : Thanks a lot Ann! Oh you should make bento again ... With all of your yummy cooking, I think will be a great one :) Jia You!! the new boxes are beautiful, i especially like this one you are using for your hubby's meal! and the floral motif is very nice, i love the purple flowers with the purple cabbage sprinklings! It's a beautiful box and you filled it beautifully too. I love the flowers and all the cutouts! 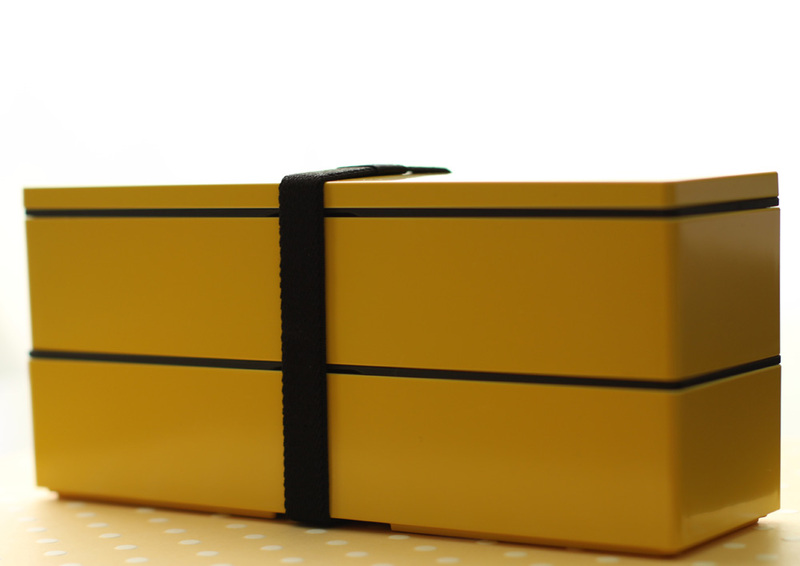 Wow, very lovely boxes. Lucky hubby. :) The bento is very pretty indeed. @benTo-BEnToAn : Thanks a lot Debby for your nice words! @Lyndsey : Thanks a lot Lyndsey! Lovely boxes, but super-mama&wife bento star maker ! Thanks Lia ! Wow, so beautiful! I love the flowers, how thick they are adds to the look! @Fluteloop : Thanks a lot dear!